The mission of the New Orleans Poetry Festival and Small Press Fair is to create a space for an inclusive and diverse group of writers to collaborate, share and influence each other while also being immersed in the distinct literary culture of New Orleans. As such, our goal every year is to bring in poets and performers from across the globe to share their work and research in topics not only specific to writing but to cultural, political and activist needs relevant to the current climate. 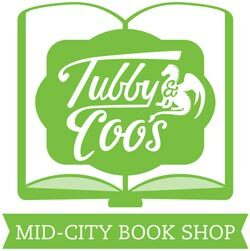 We also hope to showcase the best writers that New Orleans has to offer allowing visitors to partake in the writing spirit unique to our city. The Festival is highly participatory with events ranging from workshops where you will be generating writing to open mics where you can share your work to getting out on the dance floor to listen and dance to our poets with bands. We invite the active inspiration of saturation in four days of poetry along with the collaboration of creating a temporary autonomous zone for fostering further explorations and creations that continue beyond the time spent here in New Orleans. The Fest began in 2016 as the brainchild of Megan Burns of Trembling Pillow Press and Bill Lavender of Lavender Ink/ Diálogos. There are a few videos from 2016 available here.